South Range is an apartment building developed in conjunction with the neighboring Oakhurst Inn B&B. It is a 51,800 SF development comprised of 36 new one and two-bedroom apartment units with a multi-use community hall, garden terrace and pergola and covered, underground structured parking for over 50 vehicles. 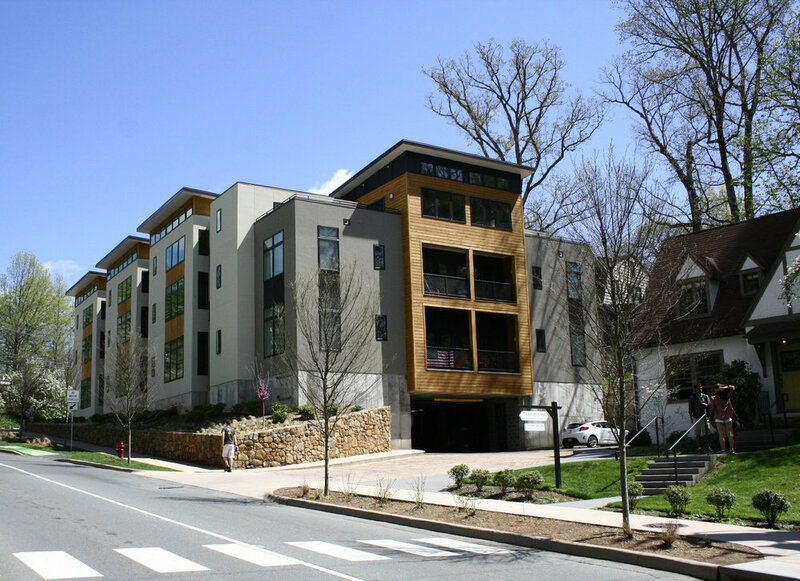 The project is located in a historic neighborhood that is an architectural design regulated district in Charlottesville, immediately adjacent to the Lawn at the University of Virginia - a UNESCO World Heritage site. It backs up to charming single family homes and rental properties that serves both the university community and city residents. The new construction included a major re-alignment of the JPA and Emmet Street street intersection and establishes an important edge along one of Charlottesville’s primary entrance corridors as a transition into UVA’s historic university precinct. 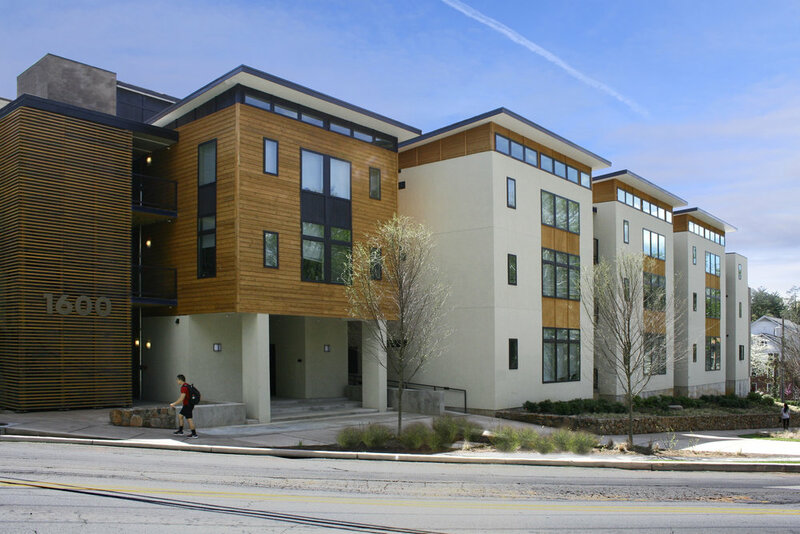 The design of this new 3-story, multi-family housing is broken down into several smaller building volumes to intentionally diminish the scale of the overall mass out of respect for the surrounding context. The primary reading is one of “pavilions” along JPA that are connected by exterior, open-air porches that serve not only as entries for each unit but also slots allow light and air to penetrate into to the core and all the way through the building. We utilized a traditional material palette of stucco, stained wood and stone site walls alludes to the architectural language of the period craftsman homes located throughout the adjacent neighborhoods while maintaining a clean, modern presence on the street edge.